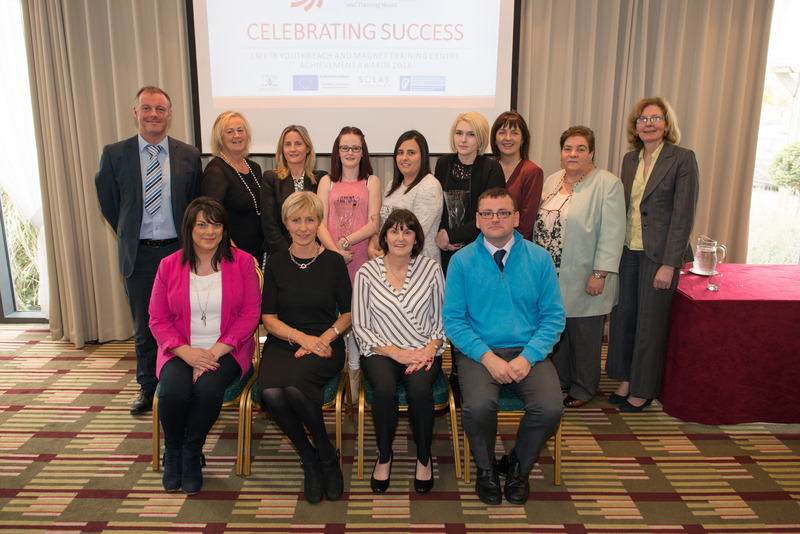 Hairdressing and Childcare were just some of the achievement awards presented to our trainees recently at a ceremony in City North Hotel. This event organised by LMETB was a wonderful opportunity for our Centre to celebrate outstanding achievement by our Trainees. We awarded four young people for significant achievement in our Childcare, Employment Skills and Hairdressing Programmes. The recipients of our achievement awards have good reason to celebrate and be very proud of themselves! The awards are offered to young people attending training programmes in counties Louth and Meath. The event was attended by many of the LMETB Senior Management Team and the LMETB Board of Management. The Magnet Training Centre offers community based training programmes to young people aged 16 – 21 in . Our Trainee’s will be offered real opportunities to develop their potential through accredited courses in Childcare, Employment Skills and Hairdressing. Our centre also offers meals, travel and training allowances.